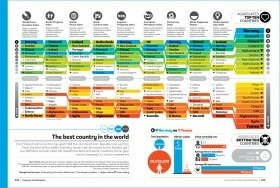 Infographic: The best and worst countries in the world 2017 from Delayed Gratification, the Slow Journalism magazine. 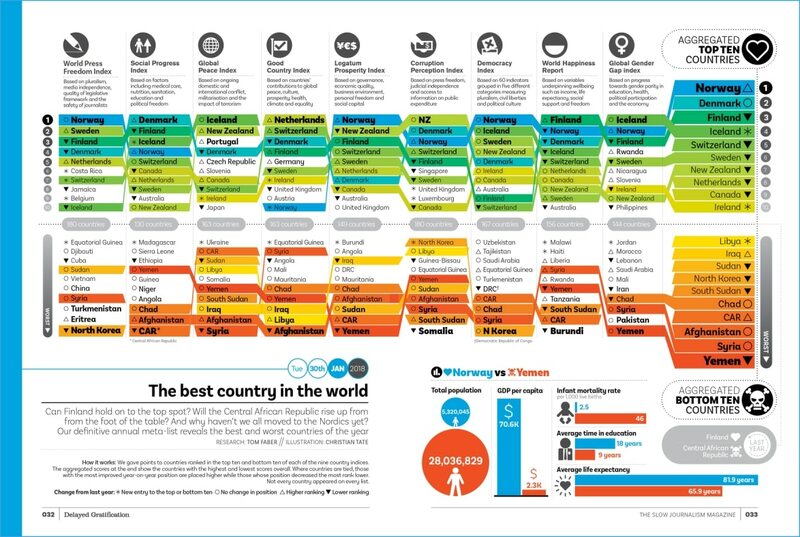 In DG #30 we continued our annual meta-list that tracks the ‘best country’ indices published by NGOs and international development bodies. Here, we’ve consolidated rankings that were put out during 2018 to report on the previous year – to come up with our definitive list of the best and worst places in the world to live in 2017. To see which places are on the up and which are falling behind, across all the major categories of social welfare, compare this year’s list with our aggregated rankings from 2016, 2015 and 2014.